Join us for a presentation of the latest trends and research from the popular Non-Obvious Trend Series. 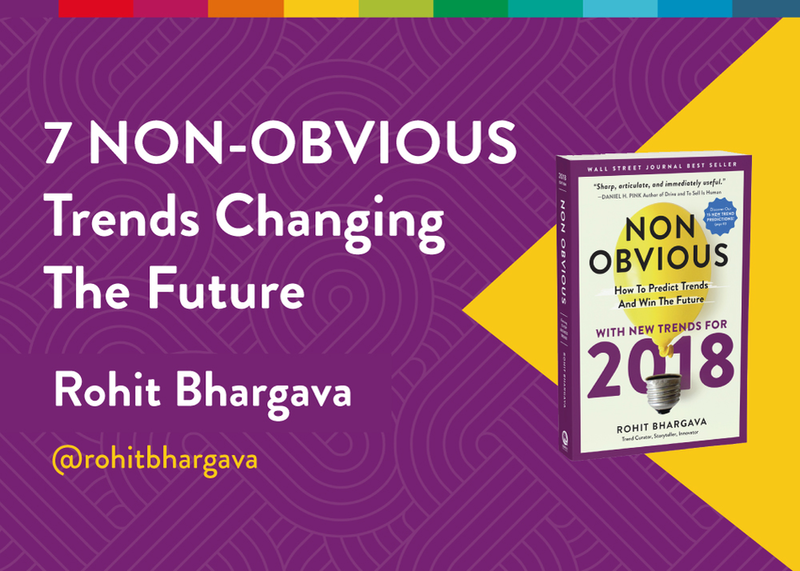 With over 100 trends predicted over eight years, this WSJ best selling research series by trend curator Rohit Bhargava has been used by some of the largest organizations in the world. This all new talk will feature seven never before seen trends from the new 2018 edition of the research series, and offer actionable tips for the audience on how to use these trends to get ahead.